Thank you for visiting. This cause is very dear to our team, as we each lost our mothers to ovarian cancer. 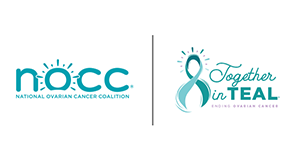 The fortunate thing about it all is that it introduced us to each other and together, we are determined to make an impact on how much people know about ovarian cancer. You are a wonderful daughter. Your mom would be so proud! Have a marvelous & successful run/walk! Sorry I can't be there! In honor of your mom and her light that shines through you. Thanks for all you do for TEAL families. Hope you make your goal, Jennifer. Aunt Krista was special. Please let me know if there is a way I can virtually join the walk.